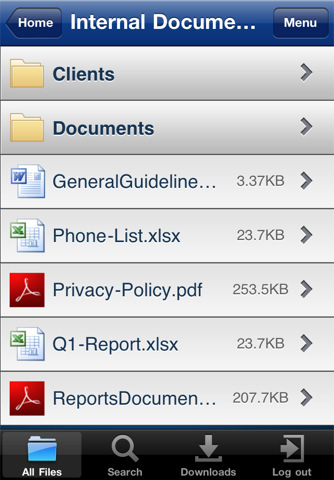 There are a huge number of apps file sharing apps available including Box.net, Minus, FileShareHQ and Accellion. Another option in this very crowded market that is billed as being “exclusively focused on small business/enterprise features” is ShareFile. Not all of the above features are available with all pricing plans. ShareFile told me how one of its customers, a worldwide restaurant chain, uses the service to make creative materials available to their franchisees. The same customer’s HR department uses ShareFile to send sensitive employment documents. The company boasts data centers on the U.S. East and West Coasts, as well as in Ireland and Singapore, but provides telephone and email help from a U.S.-based support staff. ShareFile is available in several pricing plans, ranging from $29.95 a month for two employee accounts and 5GB of storage, to $499.95 per month for 150 accounts and 150GB of storage. All plans include unlimited client users. A 30-day trial is available. Sharefile is probably the best file sharing service most people haven’t heard of. Great service, company, and support. For my money, if you need file sharing for your business, this is the way to go.